When I worked in the media industry for a national advertising agency, we would often get local SEO services sales reps trying to steal our clients. Why not right? Our clients were big and small. Even the tiny ones were spending $15k a month in media. The bigger ones were well over $100k a month. My point is the local SEO services industry is overburden with too many salespeople out to close deals. Any deal that makes sense and many more that don’t. There’s too few working on the front line that know more than sucker punching you with a long-term contract. Last summer I had a high-profile legal group engage my local SEO services for some of their sites. I was invited to attend a ‘power session’ offered by their soon-to-be fired SEO firm. Honestly, they were great folks who are doing fantastic work. However, it’s about as close to local SEO services as the north pole is to the tropics. They get a few dozen law groups to spend $50k a month in PPC (each). Sure it sounds like a truckload of dough. However, they specialize in working with law firms that try to get in on large drug lawsuits. So to drop that kind of dough to buy a few hundred leads a month with PPC is a drop in the bucket while ignoring genuine local SEO services as an investment in the future. If you’re shopping for local SEO services and anyone mentions a plan or package, hold on tightly to your checkbook. The problem is plans don’t account for the finer nuances of your business model. They’re designed to snag a few hundred clients at a time one fell swoop. Next, be very careful on your target keywords. You want ones that have little competition yet fit your market and are achievable to develop a robust local SEO services effort. If you’re selling tennis courts in San Diego, don’t settle for keyword phrases without the words ‘San Diego’ (or surrounding cities) in the word string. Sorry for the TKO reference. For those unfamiliar, it’s a boxing acronym meaning technical knockout. What you want are keywords that you can knock out of the park ranking. If your keys are super-competitive it will take mongo time and plenty of content on your site to rank even in the top 100 on Google. Going all out for dozens of keywords is a rookie mistake. Start with 6-12. Then branch out from there. Those of us in the local SEO services market are all experiencing changes in how the search engines rank sites. 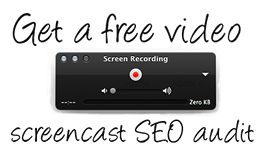 Highly relevant sites with video contained in your content will score much higher than sites lacking good content. Another trend among many local SEO services gurus is to create fake profile and review links directed to your site. Do yourself a favor and avoid these techniques like the plague. If you need more help figuring out how to rank, read our local SEO services primer.